, the Venezuelan opposition leader and self-proclaimed acting president, announced on Tuesday that desperately-needed humanitarian aid would be brought into the country on February 23, despite opposition from President Nicolas Maduro. US aid has been piling up in Colombia at the border with Venezuela but until now the bridge border crossing has been barricaded by the military, under Maduro‘s orders. “We have almost 300,000 Venezuelans who will die if the aid doesn’t enter. There are almost two million at health risk,” said Guaido, recognised as Venezuela’s interim leader by 50 countries. On Tuesday, Guaido said he was issuing a “direct order” to the armed forces to allow the aid in, though so far there are not clear signs the military will disobey Maduro. 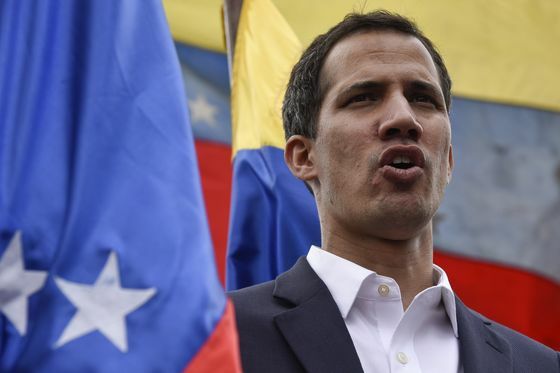 “It’s sure that the humanitarian aid will enter Venezuela because the usurper will have no choice but to leave Venezuela,” said Guaido, referring to Maduro, whom he deems illegitimate over his reelection last year in a poll widely viewed as fraudulent. “It’s not the first time Venezuela is going to be liberated from a tyrant — it’s not the first time but we hope it will be the last,” added the National Assembly president. “Here is a direct order to the armed forces: allow in the humanitarian aid once and for all (and) end the repression,” said Guaido, 35, who stunned the world on January 23 when he launched his challenge to Maduro’s authority by declaring himself acting president.